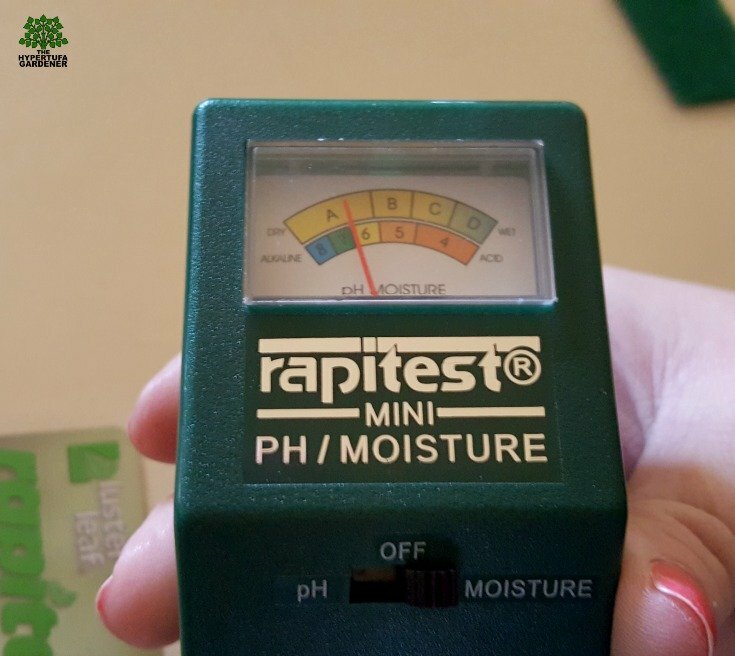 Measuring Moisture In House Plants – And pH In Your Hypertufa! Do you worry about watering your plants too much? Or maybe not enough? I have found that having a Moisture Tester probe to place in the soil is such a wonderful item to have on hand for your indoor plants. 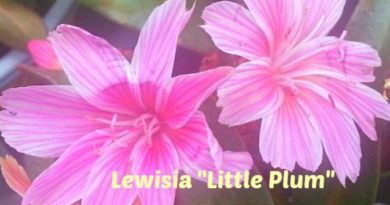 I am sure it is very useful outside too if you should have any question but I think it is almost essential for indoor plants. I grow succulents mostly and they need to be on the dry side, so it is important to be sure they are dry enough to need watering. This item seems to help so much so that I can see whether or not the plants needs to be watered. Biggest reason most house plants die? Overwatering! 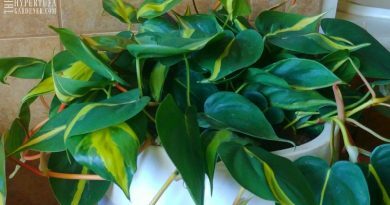 Yes, overwatering is the main reason most house plants die. Recently, I noticed my Jade plant seemed to be dropping leaves and I worried that it was too dry since it felt dry when I touched the soil. But putting the Moisture Tester into the soil showed me that there was moisture down in the planter ( It is a large and deep planter.) where the roots needed it. I just couldn’t feel moisture from above. Guess the meter saved my Jade Plant’s life! This is not a sponsored post, but I will link to this Moisture Tester if you should be interested. 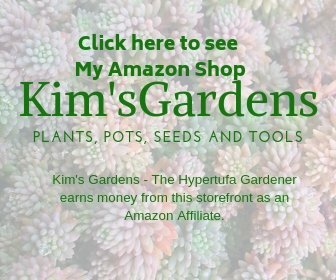 I am an Amazon Affiliate and if you should make a purchase, I could earn a commission which helps to support my website. Thanks. This particular Moisture Tester also tests for soil pH. 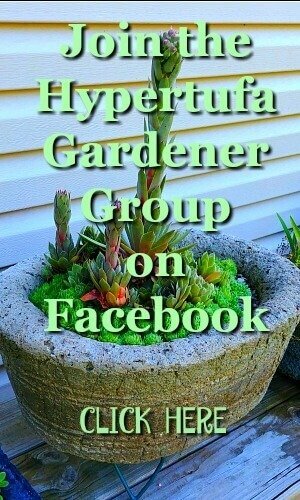 Now isn’t that what we Hypertufa Makers need? We always see warnings about leaching the hypertufa well to make sure the resulting planter is not too alkaline for a plant sitting inside. 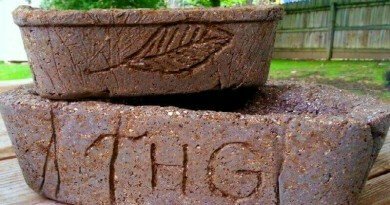 The Portland cement is alkaline and when we use it to make the planter, it is important to leach the alkalinity from the new planter. But do you worry down the road that some alkalinity did leach into the soil and causing some problems (or might in the future)? I think this is an easy way to check. This soil meter checks in the soil, not in a water solution. 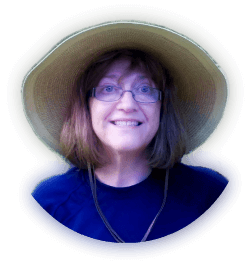 So I would make a check after you have watered your plant and the soil is filled with moisture. 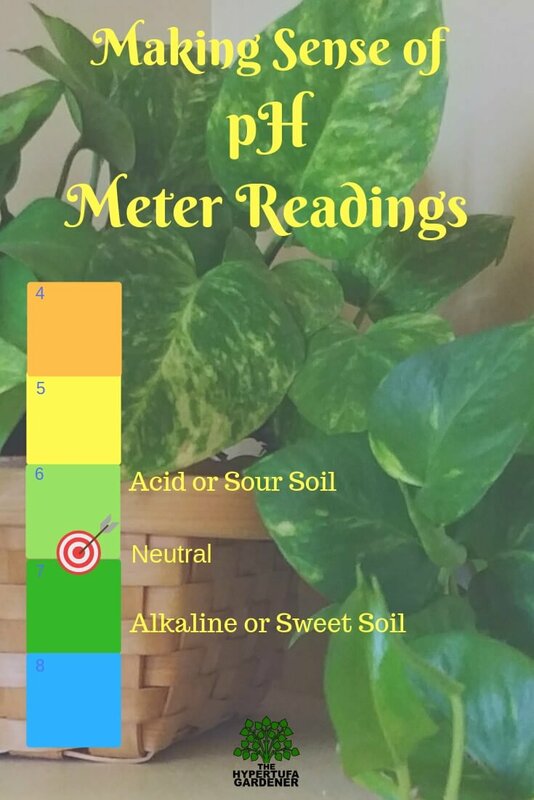 Some meters will only check a liquid solution and you might have to dig in your plant, get some soil and then mix with distilled water to get an accurate reading. But the Rapitest Mini pH/Moisture meter I am using instructs me to test in soil only. Don’t worry about the numbers beyond, since we would hardly be testing for those higher ranges such as #13 household ammonia, bleach, and so forth. In addition, those lower ranges such as #3 and below are vinegar, lemon juice,battery acid. See what I mean? Remember that some plants prefer a slightly alkaline soil and you may want to consider those if you have a concern in your garden. 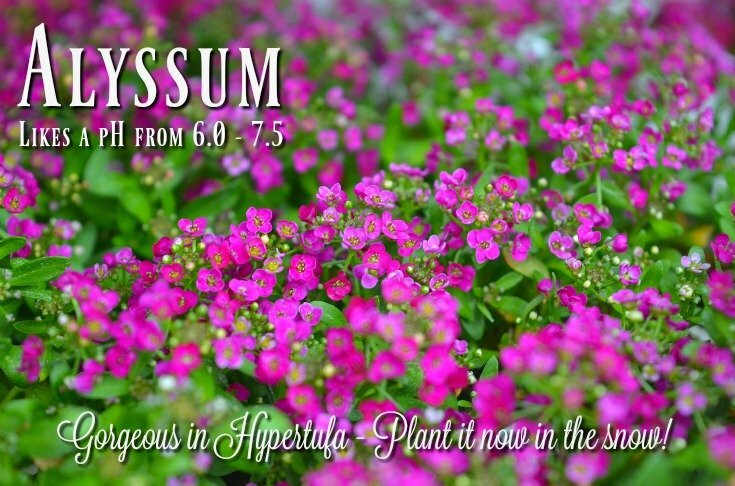 For my part, I am mostly concerned about container plants, specifically in hypertufa, but you may have a concern about your whole garden. Testing in your garden can be done with more sophisticated equipment. Otherwise, you can have you soil tested by your local Extension Office. Be sure you take your samples from many different areas in your garden so that the test will be more accurate. Here in the western side of Ohio, we tend to be more alkaline since we have a strong limestone base, and in my case, packed clay soil. Amending the soil can be done, but is accomplished over a long period of time. The Farmer’s Almanac gives a good chart to show what plants grow in different pH ranges. 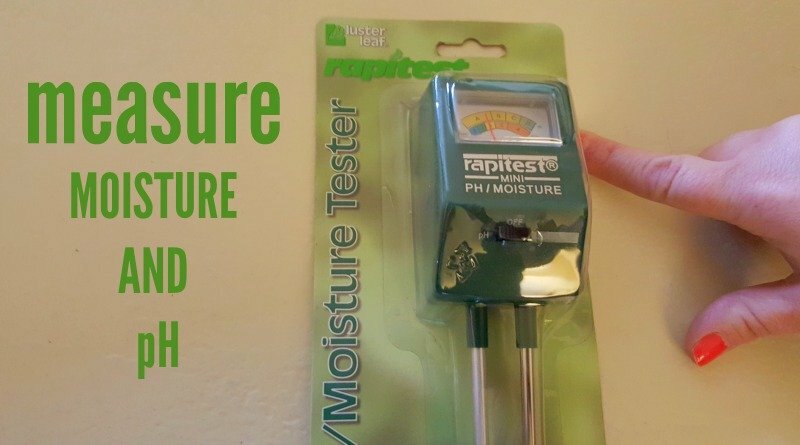 This Moisture Meter has a chart on the back of the package that will be very useful to me when I am measuring the pH in my planters. You can see that it gives the recommended pH levels so that I can see if mine is in that range. This will be useful if I am having any problems at all with a plant. Note: The amount of water rinsing through the plant soil over months/years, the stage of decomposition of the peat in the soil, etc, all of these affect the pH so periodic checking could prevent a problem from occurring. There are many factors which can gradually change the pH over time. Don’t think that this can be an immediate fix but getting the right pH helps the plant to absorb nutrients which are blocked in the wrong pH level. 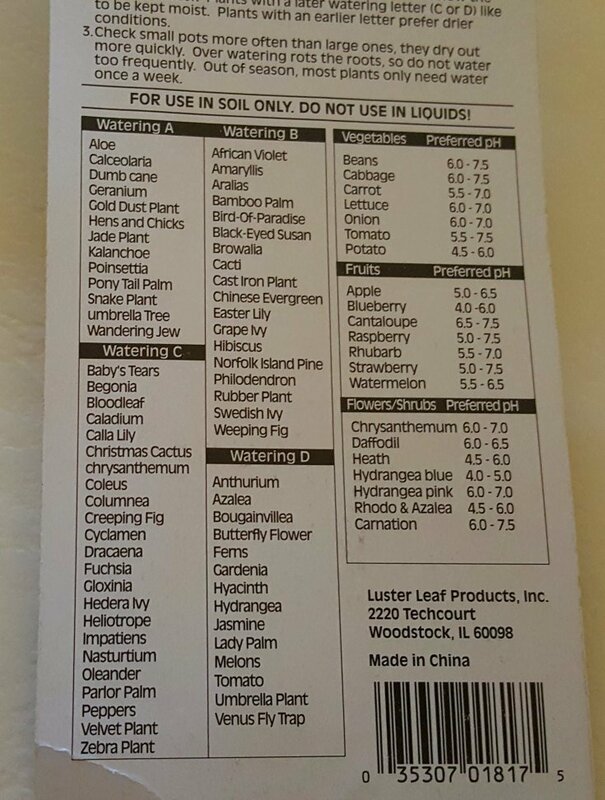 I plan on using this regularly to be sure I am watering correctly and maintaining the correct pH in my containers.